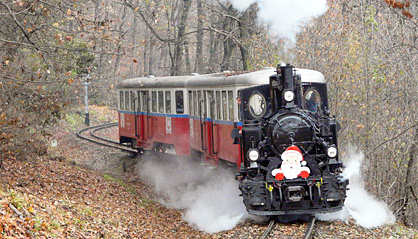 The Santa Claus Train is a lovely nostalgia train up in the Buda Hills run by the Hungarian Children’s Railway in early December. The Children’s Railway was by the way the former Hungarian Pioneer Railway, which was a huge success during Communism, and managed to survive the change of regime, an absolute family favorite! 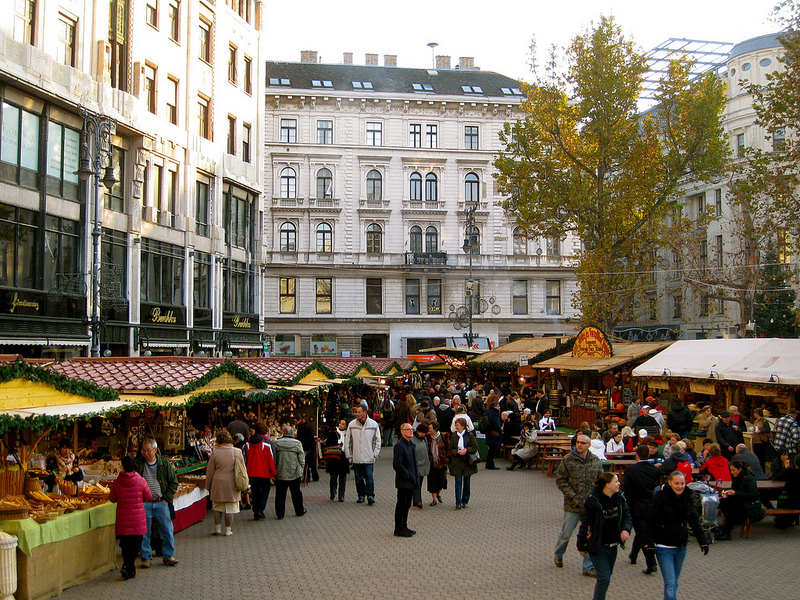 Now, if you wonder why the Santa Claus comes so early in Hungary, at the beginning of December, rather than as Father Christmas should, at Christmas, the fact is that in Hungary, Santa Claus has a special day, Dec 6 (St Nikolaus’s day), while the Christmas presents in Hungary are brought by the Baby Jesus (or the Little Angel). Don’t ask how kids believe that a baby should be so strong. They do. Event date: Saturday and Sunday, 1 & 2 December 2018 (changes with the weekend dates yearly). On Saturday, 1st December and Sunday, 2nd December 2018 you can ride the Children’s Railway in the company of Santa Claus again. This is the Advent period, and you can feel that this event for children and parents will be worth every minute. Tickets can only be purchased in advance! Santa Claus Specials are going to be operated on both days of the first weekend of December where children and parents can ride the Children’s Railway with Santa Claus and his bogeymen. The young passengers and Santa’s helpers will be expecting the arrival of Santa Claus together. They will spend the time with signing and reciting poetry until he shows up on the train. Santa Claus is going to chat away with every child individually before presenting them with the traditional small bag of sweets and fruits. 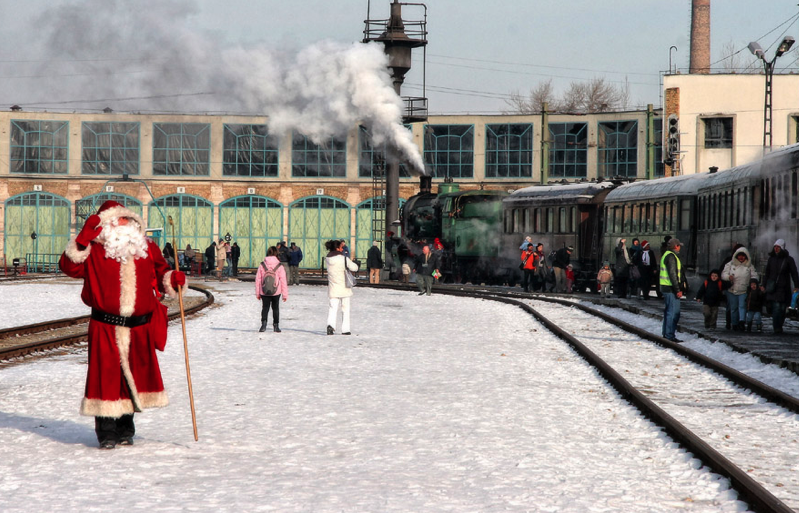 Santa Claus Specials are going to depart Huvosvolgy Station at 8:20, 9:20, 10:20, 11:20, 12:20, 13:20, 14:20, 15:20, 16:20 and 17:20 hrs. They are not scheduled to call at any station or halting along the route so they can be boarded only at the first station. Some of Santa Claus’s helpers are going to entertain the children in Huvosvolgy just outside the station with dancing and singing before the departure or after the arrival of the special service. Santa Claus Express Train – Father Christmas is Coming to Town! Right to the cool Train History Park of Hungary. All Abourd the Santa Claus train in Budapest, Hungary! 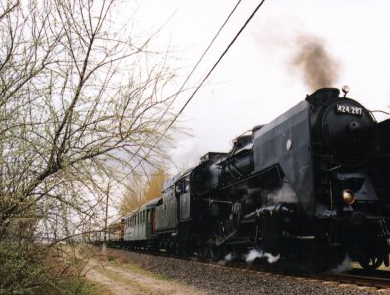 The steam engine express train will take the children and parents from Nyugati Train Station to the Railway Museum in Budapest. 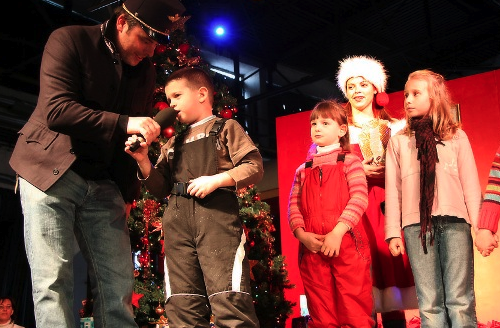 The Orient Hall of the Train Museum turns into a festive party and stage to warmly welcome Santa and his helpers who bring lots of goodies and gifts for the kids. There is usually a show, goodie bags from Santa, etc. And if you should be wondering why the Santa Claus comes so early in Hungary, at the beginning of December (?? ), rather than as Father Christmas should, at Christmas (!! ), the fact is that in Hungary, Santa Claus has a special day, Dec 6 (St Nikolaus’s day), while the Christmas presents in Hungary are brought by the Baby Jesus (or the Little Angel). Don’t ask how kids believe that a baby should be so strong. They do. So a proper Hungarian Santa Claus (Telapo aka Mikulas) should come around Dec 6. Nostalgia Train Ride on the Hungarian Railway nostalgia trains, from Budapest to Lajosmizse on Dec 19, 2012. The MÁV Nosztalgia Ltd. celebrates its 20th birthday in 2012. For this illustrious event on 19th December – exactly on the day of departure that happened two decades ago – a steam-traction Nostalgic Memorial Train runs from Budapest -West Railway Station (Nyugati Train Station) to Lajosmizse –Nostalgia Farm Inn (Tanyacsárda) station! The programme has plenty of surprises with gipsy band, games, equestrian show and a tremendous atmosphere! 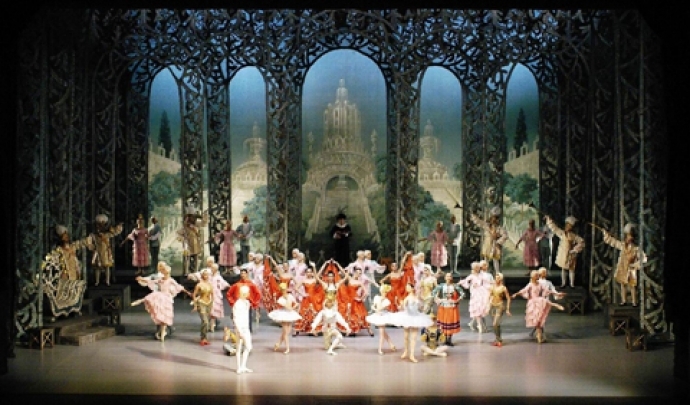 During the journey the former and present staff of the company assures the comfort of our guests! During the programme Aradszky László – the Hungarian representative of retro Italian hits – entertains our guests with his repertoire. Birthday congratulatory slides of MAV Train Nostalgia will be the highlight of the evening in the csárda: reminiscence in pictures and stories! We travel from the Lajosmizse Tanyacsárda station to the inn by a horse-drawn cart. Participation prices concerning to the Pullman Club class and to the 1st class cushiony nostalgia cars include a round-trip ticket, a reservation in the cars equipped with exceedingly comfortable seats, as well as extra services: a separate staff assures the comfort of our passengers, high-standard, gratis papers and magazines are available for our guests. Unlimited mineral water, coffee and tea are consumable at the seats. Participation fee contains a round-trip ticket and a reservation by name and the indicated supper menu in the Tanyacsárda. 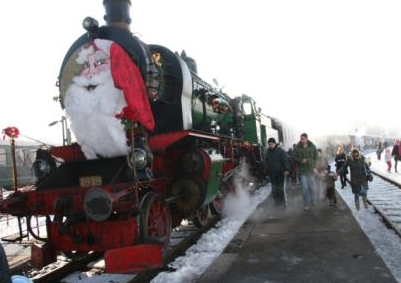 The Hungarian Train company will launch its annual nostalgia Christmas Express trains in December. The festive Xmas train includes an optional dinner, and an exceptional time travel. Romantic journey back in time, delicious foods, musical curiosities. 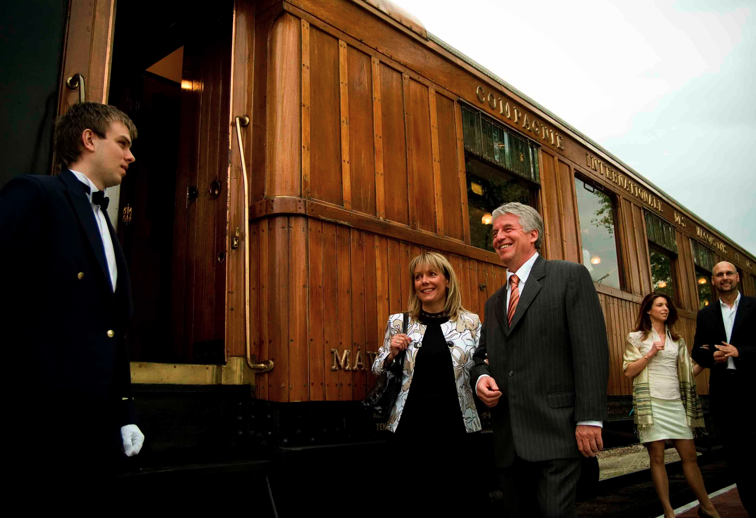 The Candlelight Express luxury train consisting of saloon-, bar- and dining-cars, provides a gastronomic adventure for those who wish a special journey and a nostalgic atmosphere. 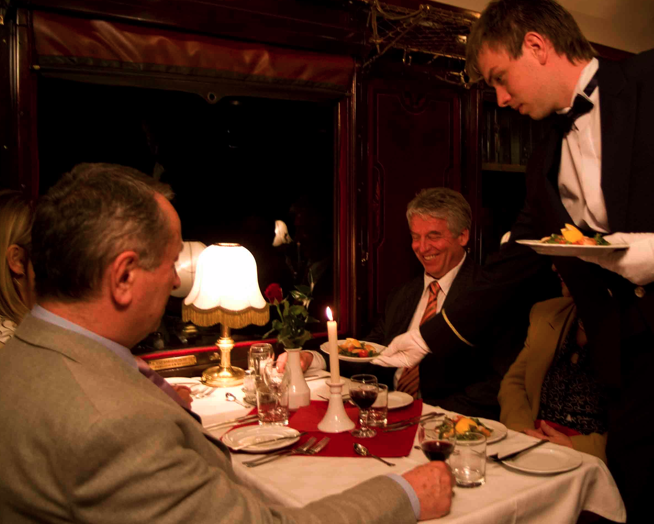 In the dining-car, during the course of the dinner including three dishes with candlelight, the “sommelier” – master of drinks carries around quality wines that fit well with the menu or with its vegetarian variant. 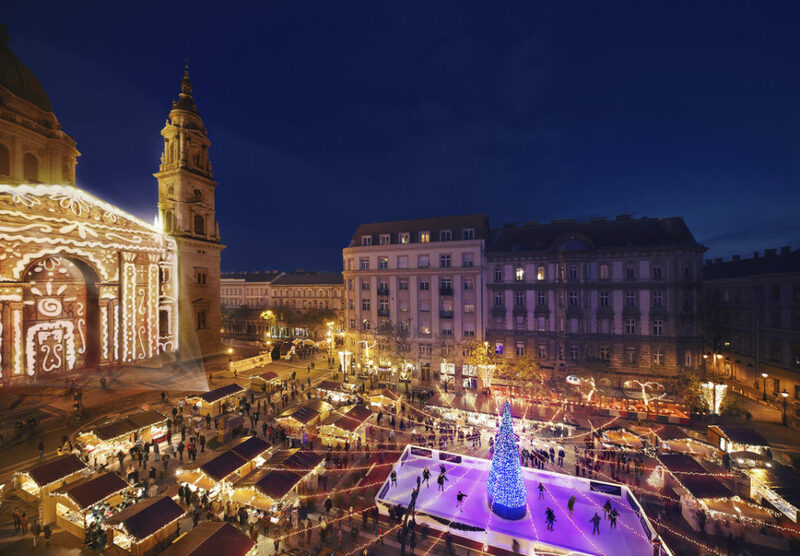 The Candlelight Express departs from the Nyugati Railway Station in Budapest and arrives in Gödöllő, where the recently renovated Royal Lounge can be viewed accompanied by a glass of champagne. Make the Candlelight Express journey unforgettable; surprise your beloved ones with a little service. Whether a birthday champagne is in the case, or a battle of delicious wine, a bunch of flower or a birthday cake, we are at your service. Please indicate your wish to enlist the boy service when buying your ticket. Participation ticket for the Candlelight Express is just valid together with paying the price of the dinner and Nosztalgia fare. The price of the program includes the Nostalgia trip, the welcome drink, the selected menu, the drinks belonging to the menu and the surprise-program. 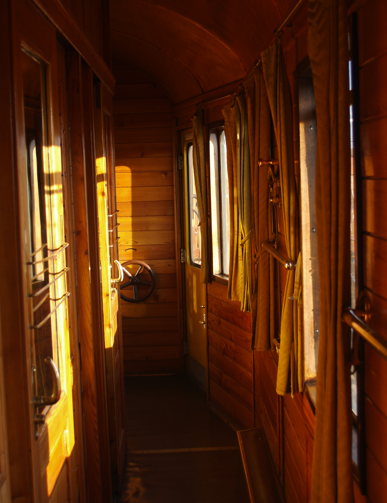 19th December Nostalgic Memorial Train – 20 years old MÁV Nosztalgia Ltd.